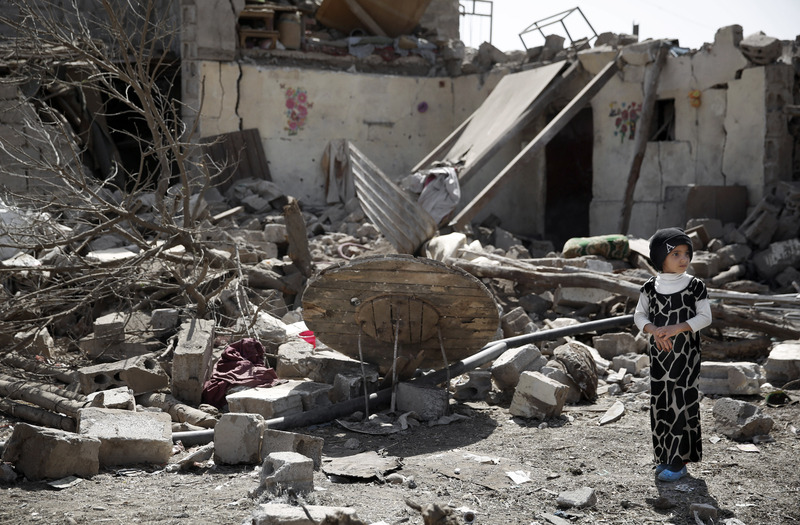 Research conducted by the Yemen Data Project found that more than one-third of all Saudi led air raids on Yemen have hit civilian sites including schools, hospitals, markets, mosques and economic infrastructures. These findings contradict claims made by the Saudi government that they are seeking to minimize civilian casualties. Saudi Arabia, a US ally, challenged the Yemen Data Project findings, claiming they were “vastly exaggerated” and said that a place that may have been a school building a year ago but is now being used by rebel fighters shouldn’t count as a hit on a civilian site. The survey conducted by the Yemen Data Project, which is made up of a group of academics, human rights organizers and activists, found more the 8,600 air attacks between March 2015, when the coalition began, and the end of August 2016. 3,577 of these air attacks hit military sites while 3,158 hit non-military sites. There were 1,882 attacks where it was unknown whether the location was a civilian or military site. The Saudi-led coalition started in March of 2015 to support the Yemeni government against the Houthi rebels, which are backed by Iran. Human Rights Watch has pointed out that Yemeni civilians have “suffered serious laws of war violations” by both the Saudi government and the Houthi rebels. The Yemen Data Project concluded that there were a number of repeated attacks from the Saudi-led air strikes and many of these happened to schools and hospitals. For example, one school in Dhubab, Taiz governorate, was hit nine times and a market in Sirwah, Marib governorate, was struck 24 times. Many are asking for an independent inquiry to establish the cause of the attacks on civilian sites, whether it be because of poor intelligence, lack of precision or a high degree of disregard for civilian lives.